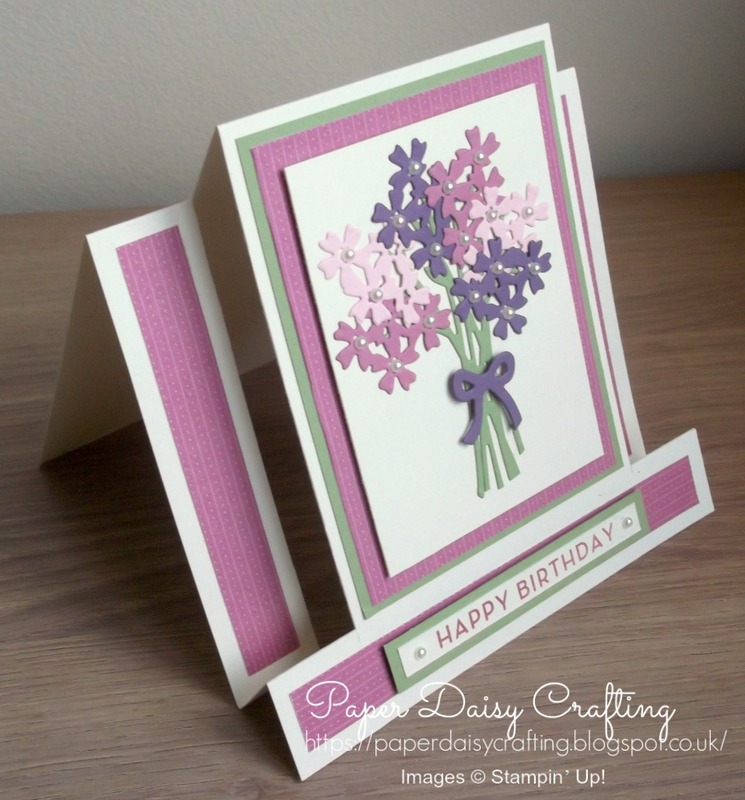 Paper Daisy Crafting: Fancy fold card tutorial using Bouquet Bunch from Stampin' Up! 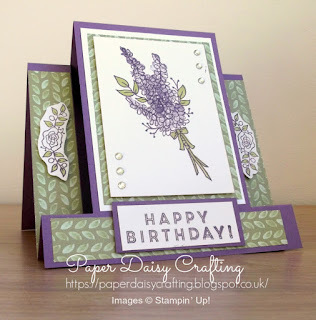 Fancy fold card tutorial using Bouquet Bunch from Stampin' Up! You may remember a few days ago I blogged about this card, that I received in a card swap. Several people have asked me how the card was made so I have worked it out, using this card as a template and made a little video tutorial which you can see HERE or on the image below. Card blank: 11" x 5.5"
Line card up at 1" on your trimmer and cut from 4.5" down to 10"
Move the card over and line up at 4.5cm and cut from 4.5" down to 10"
Then score the centre panel at 5.5"
I'll be back tomorrow with another tutorial to show you how I decorated the card blank and turned it into this pretty birthday card. Hope you've enjoyed this project - Don't forget that at the moment for every £45 you spend Stampin Up will let you choose a free Saleabration item (shown in the brochures on the right). So this is a great time to stock up on all those craft essentials - card stock, adhesives, embellishments etc.